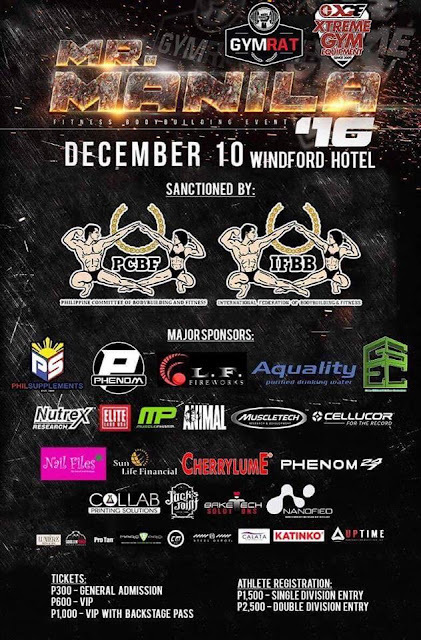 Mr. Manila 2016, a bodybuilding competition, is set to showcase muscle and fitness on stage at Winford Hotel and Casino on December 10, 2016 (Saturday). The venue is located at Brgy. 350, Santa Cruz, Manila, Philippines. Registration on the day will be at 7:00am to 2:00pm. Competition starts at 3:00pm. All contestants will receive a certificate of participation. 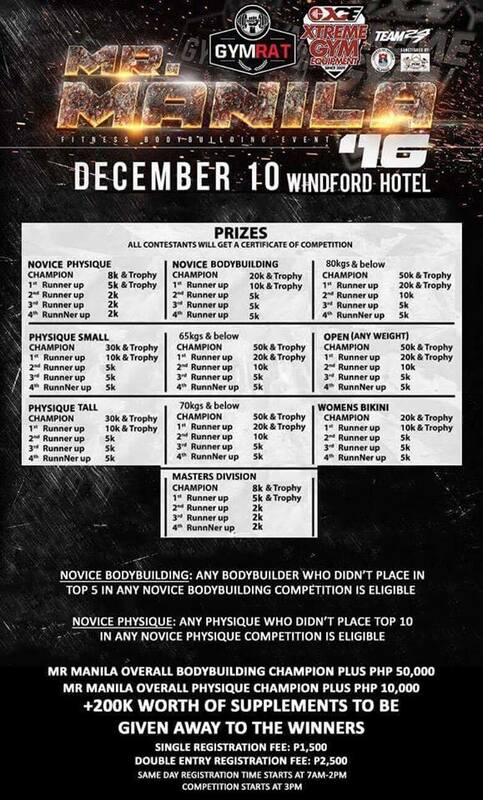 - Bodybuilders who didn't place in the Top 10 in any Novice Physique Competition are eligible. (with the exception if it happened on a baranggay level only). - Bodybuilders who didn't place in the Top 5 in any Novice Bodybuilding Competition are eligible (with the exception if it happened on a baranggay level only).